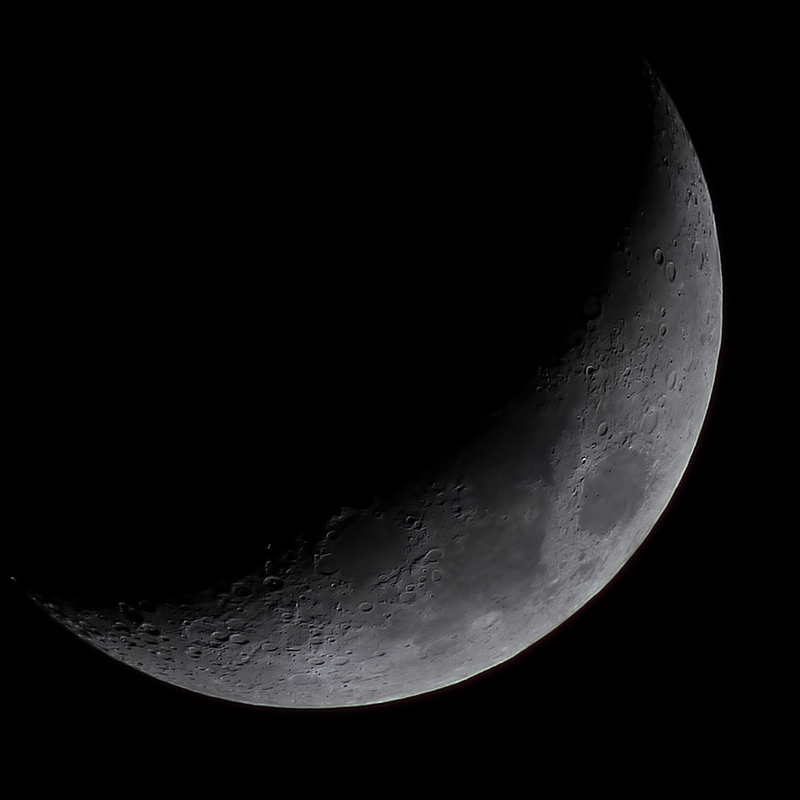 A tripod mounted Panasonic Lumix DMC-FZ72 bridge camera at 60x optical zoom was used to image the 26% waxing, crescent Moon. The camera was set to ISO-100 and 1/200s exposure at f/5.9. 98 images, were precisely cropped and registered in Nicola Mackin's AstroCrop software .Click to go to the download site and to see the software in action, stacked and wavelet processed in Registax 5.1 with post processing in Photoshop. Click on the image to get a closer view.